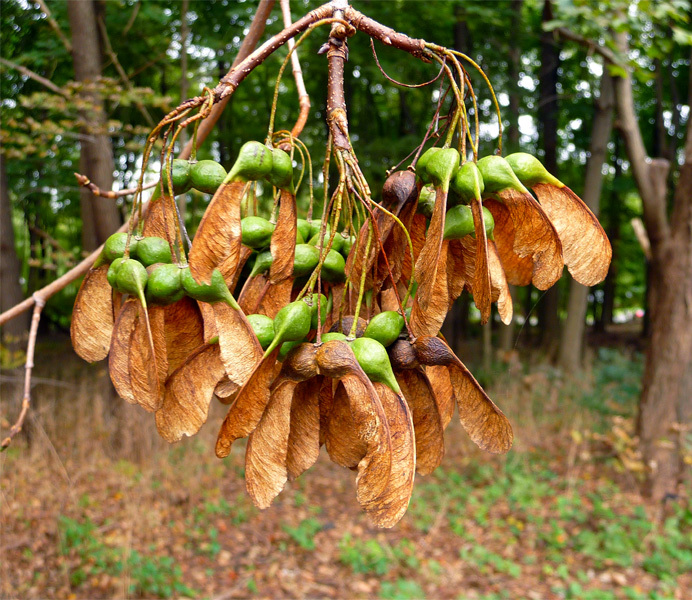 I found this cluster of maple seeds hanging in a wooded lot on Middle River Road. As each green nodule dries, a moment will come when the seed helicopters to the ground, perhaps planting a new tree. .
About this page: Every day, usually at noon, I step out of my office for a 3.5-mile walk around my Connecticut neighborhood. I carry a Panasonic Lumix DMC-TX5 pocket camera with a Leica 10x optical zoom lens. My object is to make an interesting photograph of at least one thing that is different that day. I post the results here, hoping they will inspire you and your friends to walk, too. —Terry Dunkle, DietPower founder and CEO.